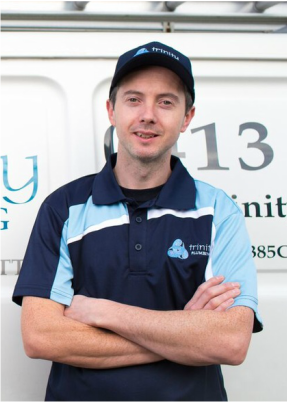 ​Trinity Plumbing is led by Mick Bradley – a fully qualified plumber for over twenty years. Mick founded the Sydney business in 2012 and has since grown it to service the Sydney Metropolitan area. Fully licenced and insured, Trinity Plumbing provides exceptional customer service for a wide array of properties including commercial and residential. Whether you need someone to fix a plumbing connection or you require someone to properly install your plumbing system, we offer reliable and honest plumbing services. ​What makes Trinity Plumbing unique? Customer Service – As a locally owned business, we know our community and treat every customer with complete respect and loyalty. A desire to find the cause of the problem in order to correctly fix the problem – we don’t do “quick fixes”, instead we treat the problem from its source. Reliability – our word represents our business, so what we say is what we believe, and we never leave a customer stranded. Honesty – our team delivers plumbing services that go beyond all expectations, and establish us as a trusted Sydney plumber.